By the end of September 2017, global LTE subscriptions, according to Ovum data, stood at 2.54 billion compared to 1.70 billion a year earlier, GSA reveals. 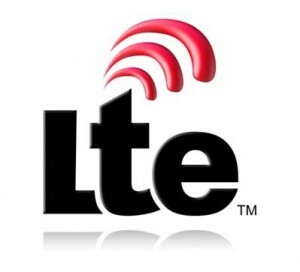 GSA revealed there are 601 commercially launched LTE networks in 192 countries, including 98 LTE-TDD in 56 countries. 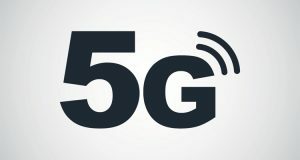 22 operators are deploying 5G. Global mobile subscriptions reached 7.343 billion by the end of 2015 according to GSA. 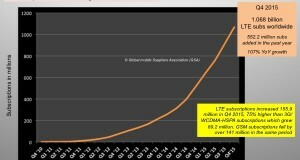 LTE subscriptions reached 1.068 billion worldwide. 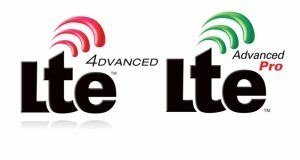 There are now 4,416 LTE devices globally, including 2,706 smartphones according to the latest GSA Status of the LTE Ecosystem report. 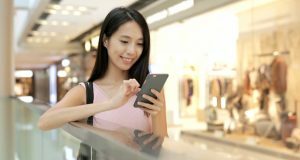 Global LTE subscription passed the 1 billion subscription mark during the final quarter of 2015, according to global analyst firm Ovum. The total of 4G LTE user devices have now reached 3,253 according to the latest report by GSA (Global mobile Suppliers Association) in June 2015. There are 305 companies that manufacture these devices. 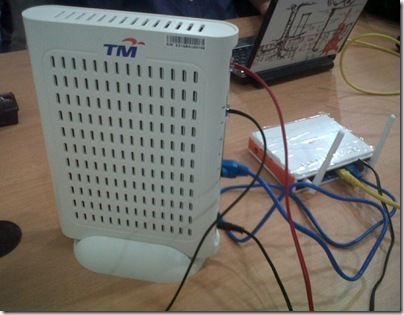 The report covers LTE FDD and TDD (TD-LTE) devices. 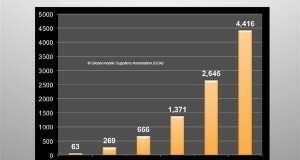 GSA, the Global mobile Suppliers Association announced that there are 635 million LTE subscriptions worldwide. It also said that LTE subscriptions continue to grow faster than any other mobile communications system technology. Analysing Q1 2015 subscriptions data provided by Ovum Ltd, GSA noted that in 3 successive quarters LTE subscription net additions have outpaced any other mobile communications technology. GSA, the Global mobile Suppliers Association, revealed there were 497 million LTE (Long Term Evolution) subscriptions worldwide by 31 December 2014. A total of 290 million LTE subscriptions were gained in the year, equivalent to 140% annual growth. 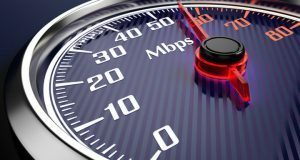 GSA said that LTE subscriptions are growing faster than any other mobile communications system technology, and by a substantial margin.